Welcome to ROOFWELL Limited. ROOFWELL is a locally owned and operated business that covers all aspects of roofing, from the smallest repair to the largest re roof, so from the gutters up we¿ve got you covered. We cover all of the Wellington and Kapiti region. We are committed to excellent service, communication and workmanship. 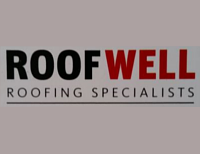 Here at ROOFWELL we will take you through the whole process from start to finish, we think it is very important that our customers understand what they are paying for. We guarantee quality workmanship and quality products. After all the roof is one of the most important elements of your property. So with over 20 years roofing experience in the Wellington region you can be assured you will get sound advice and a top quality job. ROOFWELL WILL GO THE EXTRA MILE. All roof repairs and maintenance. Tile repairs, concrete and clay. ROOFWELL can carry out programmed maintenance on your residential or commercial property from once a year or as often as you require. Having a maintenance check done on your roof at least once a year can save you from unexpected leaks, blocked gutters and give you a longer life span of your roof. We can carry out programmed maintenance for your rental property, which means once a year your property will be booked in for a complete roof check, spouting clean and wash.
We will report any issues found with your roof with the best solution for repair. We are licensed building practitioners in both these areas of roofing membrane. SAFETY. WORK SAFE GO HOME SAFE. ROOFWELL take safety very seriously. Not just for are staff but also for our customers. All staff are trained in working at height and height safety. All precautions are taken to eliminate falls. All materials are tide down and secured when on site. Work site left tidy at all times.